A corporation sole is a legal entity consisting of a single ("sole") incorporated office, occupied by a single ("sole") natural person. A corporation sole is one of two types of corporation, the other being a corporation aggregate. This allows corporations (often religious corporations or Commonwealth governments) to pass without interval in time from one office holder to the next successor-in-office, giving the positions legal continuity with subsequent office holders having identical powers and possessions to their predecessors. Most corporations sole are church-related (for example, the Archbishop of Canterbury), but some political offices of the United Kingdom, Canada, and the United States are also corporations sole. In the United Kingdom, for example, many of the Secretaries of State are corporations sole. In contrast to a corporation sole, a corporation aggregate consists of two or more persons, typically run by a board of directors. Another difference is that corporations aggregate may have owners or stockholders, neither of which is a feature of a corporation sole. The concept of corporation sole originated as a means for orderly transfer of ecclesiastical property, serving to keep the title within the denomination or religious society. In order to keep the religious property from being treated as the estate of the vicar of the church, the property was titled to the office of the corporation sole. In the case of the Roman Catholic Church, ecclesiastical property is usually titled to the diocesan bishop, who serves in the office of the corporation sole. The Roman Catholic Church continues to use corporations sole in holding titles of property: as recently as 2002, it split a diocese in the US state of California into many smaller corporations sole and with each parish priest becoming his own corporation sole, thus limiting the diocese's liability for any sexual abuse or other wrongful activity in which the priest might engage. This is, however, not the case everywhere, and legal application varies. For instance, other U.S. jurisdictions have used corporations at multiple levels. In the jurisdictions of England and Wales, Scotland, Northern Ireland, and the Republic of Ireland, a Roman Catholic bishop is not a corporation sole and real property is held by way of land trusts. This position is largely due to the suppression of Roman Catholicism which began in England with Henry VIII and the successful English Reformation, and began later in Ireland with the Penal Laws. The Church of Jesus Christ of Latter-day Saints also uses the corporation sole form for its president, which is legally listed as "The Corporation of the President of the Church of Jesus Christ of Latter-day Saints". Iglesia ni Cristo was registered as corporation sole with the Insular Government in the Philippines in 1914. In the People's Republic of China, the denomination was also registered as corporation sole in 2014. The form of a corporation sole form can serve the needs of a very small church or religious society as well as a large diocese. By reducing the complexity of the organization to a single office and its holder, the need for by-laws is eliminated and the pastor of the church or overseer of the society is then not obliged to deal with a board of directors. 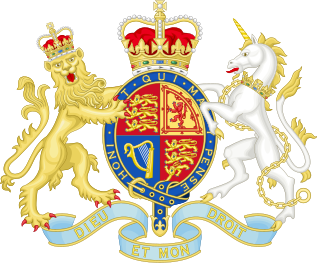 Within most constitutional monarchies, notably the Commonwealth realms, the Crown is a non-statutory corporation sole. Although the office and office-holder, conceptually speaking, retain dual capacities in that they may act both in a corporate capacity (as monarch) and in an individual capacity (as a private person), they are inseparably fused in law, which is to say that there is no legal distinction between the office of the crown/sovereign and the individual person who holds it. The Crown can enter into contracts and possess property, and it is in this way that the Crown (state) legally acts as a person. Conceptually speaking, the person of the monarch (office holder) may hold properties privately, distinct from property he or she possesses corporately, and may act as monarch separate from their personal acts. For example, Elizabeth II as a natural person holds several separate offices, such as Queen of the United Kingdom, Queen of Canada, Queen of Australia, Supreme Governor of the Church of England, etc. which are all distinct corporations sole, and at the same time she may also act as a natural person in a private capacity separate and apart from her role filling these various offices (corporations). This functions in the same way as the office of Prime Minister for example, which may have use of certain properties and privileges, such as an official residence and decision-making powers, however these assets do not belong to the office-holder in a private capacity and thus remain with the office once the office holder leaves, and at the same time the office holder may own property such as a house or a car in a private non-office related capacity. The sovereign's status as a corporation sole ensures that all references to the Queen, the King, Her Majesty, His Majesty, and the Crown are all synonymous and refer to exactly the same legal personality over time. While natural persons who serve as sovereign may pass on, the sovereign never dies in law, thus it is the corporate nature of the office of sovereign that ensures that the authority of the state continues uninterrupted as successive persons occupy the office. Subsequently, the sovereign is made a corporation sole to prevent the possibility of disruption or interregnum preserving the stability of the Crown (state), and so at the moment of the demise of the sovereign a successor is immediately and automatically in place. Having the Crown as a corporation sole means that the legal person of the sovereign is the personification of the state, and subsequently acts as the guarantor of the rule of law and the fount of all executive authority behind the state's institutions. As certain countries such as Australia and Canada have federal systems of government, the sovereign in these cases also possesses capacities as distinct corporation sole in right of each of the Australian states and Canadian provinces, for example as Her Majesty the Queen of Australia in Right of Queensland and Her Majesty the Queen of Canada in Right of Alberta. Every state of the United States recognizes corporations sole under common law, and about a third of the states have specific statutes that stipulate the conditions under which that state recognizes the corporations sole that are filed with that state for acquiring, holding, and disposing of title for church and religious society property. Almost any religious society or church can qualify for filing as a corporation sole in these states. There can be no legal limitation to specific denominations, therefore a Buddhist temple or Jewish Community Center would qualify as quickly as a Christian church. Some states also recognize corporations sole for various other non-profit purposes including performing arts groups, scientific research groups, educational institutions, and cemetery societies. Look up corporation sole in Wiktionary, the free dictionary. ^ "Draft Cabinet Manual (para 102)" (PDF). Cabinet Office. December 2010. Archived from the original (PDF) on 26 April 2012. Retrieved 7 January 2010. ^ Allen, Robert (14 December 2018). "Detroit Archdiocese transfers assets; critics say it's a shell game". Detroit Free Press. Retrieved 13 January 2019. ^ Long-Garcia, J.D. (27 March 2008). "Phoenix parishes to be separate corporations". Catholic Online. Archived from the original on 13 January 2019. Retrieved 13 January 2019. ^ Philippe Lagassé and James Bowden (2014). "Royal Succession and the Canadian Crown as a Corporation Sole: A Critique of Canada's Succession to the Throne Act, 2013". Constitutional Forum. 23 (1). ^ Colin Turpin and Adam Tomkins (2007). British Government and the Constitution: Text and Materials. Cambridge University Press. p. 348. ^ Lagassé, Philippe (3 February 2013). "The Queen of Canada is dead; long live the British Queen". Maclean's Magazine. Retrieved 31 December 2015. ^ Sir William Blackstone (1809). Commentaries on the Laws of England: In Four Books, Volume 1. London: A. Strahan. pp. 474–475. ^ Lordon, Paul (1991). Crown Law. London: Butterworths. pp. 4–5. ISBN 978-0409893861. ^ Morgan, J. (2013). "McAteer et al v Attorney General of Canada, 2013 ONSC 5895". Ontario Superior Court of Justice. Retrieved 31 December 2015. ^ O'Hara, James B. (1988). "The Modern Corporation Sole". DICKINSON LAW REVIEW. 93: 23ff. Retrieved 13 January 2019. ^ "ENVIRONMENT PROTECTION AND BIODIVERSITY CONSERVATION ACT 1999 - SECT 514A Continuation". Australian government. Retrieved 10 July 2018. The body politic is a medieval metaphor that likens a nation to a corporation which had serious historical repercussions throughout recent history and therefore giving the Crown: "As a legal entity today the Crown as executive is regarded as a corporation sole or aggregate", a corporate entity. Maitland argues that the Crown is a convenient cover for ignorance and traces the legal term Crown as corporation sole originally from the 16th century and argues that it was both a political and legal ploy originally reserved for the monarch of the day with the combination of medieval Roman law amalgamated into the early medieval domain of early church property law. The modern understanding of the concept means a body politic comprises all the people in a particular country considered as a single group forming what we know as a nation. The analogy typically includes reference to the sovereign head of government as head of state, though the analogy may also be extended to other anatomical parts, as in political readings of Aesop's fable of "The Belly and the Members". The Succession to the Throne Act, 2013, which has the long title An Act to assent to alterations in the law touching the Succession to the Throne, was passed by the Parliament of Canada to give assent to the Succession to the Crown Bill, which was intended to change the line of succession to the Canadian throne and was passed with amendments by the UK parliament on 25 April 2013. 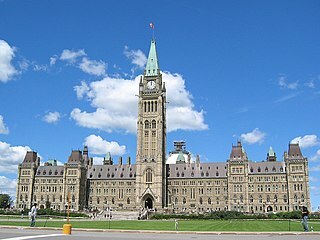 Bill C-53 was presented and received its first reading in the House of Commons on 31 January 2013 and received Royal Assent on 27 March of the same year. The Act was brought into force by the Governor General-in-Council on 26 March 2015.